The product you purchased comes with a combination of clamp and grommet base, suitable for two different installation options. 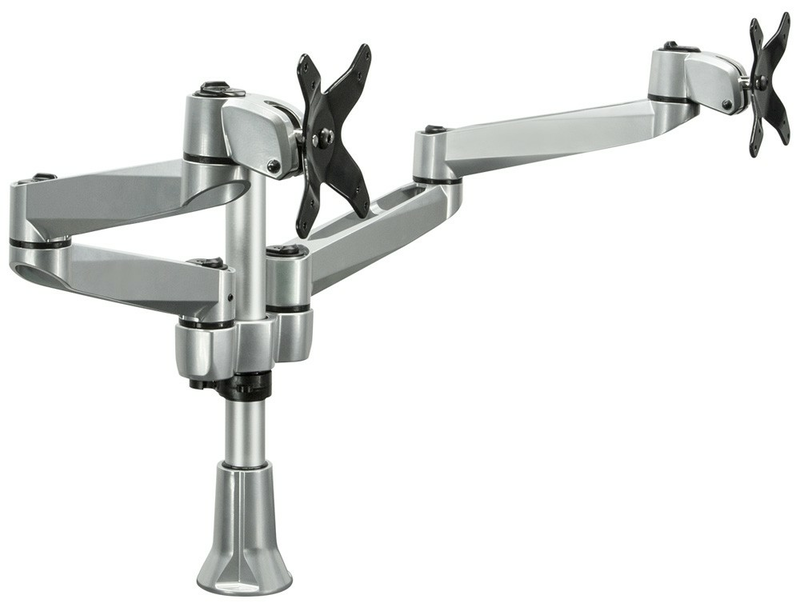 - CLAMP OPTION: If you would like to use the product in clamp configuration to connect it to the edge of your desk, no additional steps are required, as the product base comes in clamp base configuration as default. - GROMMET OPTION: If you would like to use the product in grommet configuration to connect it to a grommet hole on your desk, please remove the back side of the clamp from the base of the pole and use the pole as a grommet assembly.